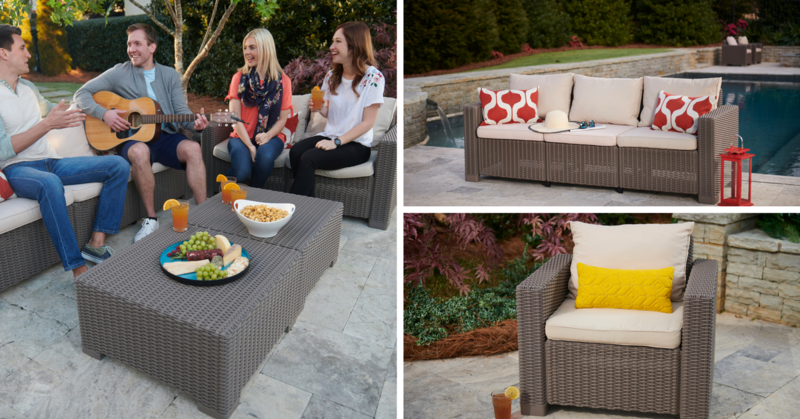 Want to spruce up your patio without breaking the bank? Details are everything when it comes to styling a space. Bring fresh appeal to your outdoor furniture with the addition of gorgeous scatter cushions. 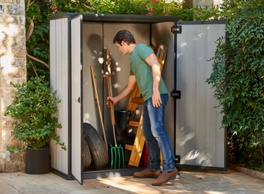 Keep cushions and accessories in tip-top shape and out of the weather, by storing them safely in a patio box. Work with the space that you have! 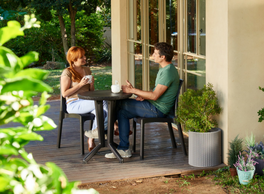 If your patio is on the smaller side, opt for a bistro-style dining set or smaller lounge configuration. Large outdoor sets and dining tables should be used in spaces that can well accommodate them.